longhorn, originally uploaded by terrylind. That’s totally my husband too. 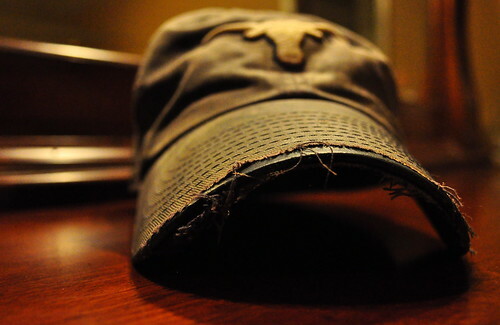 Well, football over baseball, but he loves the Horns, his old clothes, and he’s always wearing the same darn hat! Nice shot!